You can only get this Jordan 7 in one place though. The Air Jordan 7 "Tinker Alternate" that updates the old Olympic colorway doesn't release until Aug. 6. Unless, that is, you're in Las Vegas for Jordan Brand's launch event around the Air Jordan 31, where this and other sneakers released early. 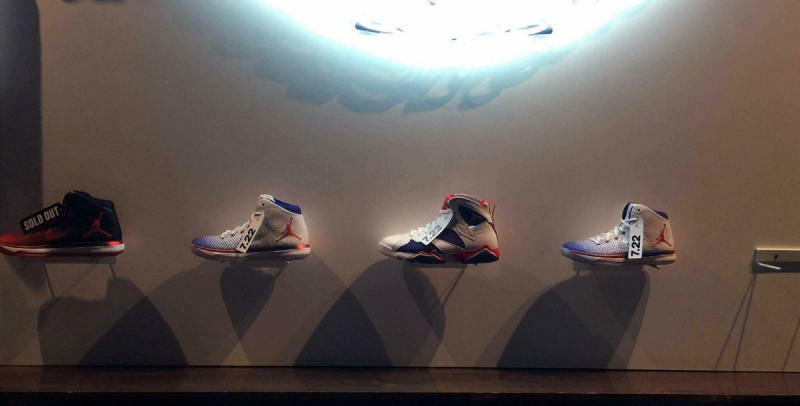 At the Jordan Brand space at Brooklyn Bowl Las Vegas, the Jordan 7 in question is available now, along with some upcoming colorways of the Air Jordan 31. These aren't the only early goodies available either–yesterday saw the release of the gold Air Jordan 11 Low. Jordan Brand has made a habit of releasing shoes early at these type of events, having previously trotted out advance pairs at the debut of its new stores and at its All-Star experiences.